Well, I bet this isn't how Microsoft thought its big day would end. What could/should have been a triumphant exclamation point, the day the next-gen console wars began in earnest, instead turned into a disaster I don't think any of us saw coming. No matter where you turned today, whether it be Facebook, Twitter, forums or even people in *gasp* the real world, chances are if you wanted to talk about Xbox One, you ran into emotions that ranged from indifference right on down to hostility. There were good things shown off today. Things I'm sure Microsoft was expecting, or at least hoping, people would focus on. A controller that looks fantastic. New Call of Duty and sports games. Easy expandable storage. Cloud integration. Expanded achievements. Yet in the end, none of that mattered. 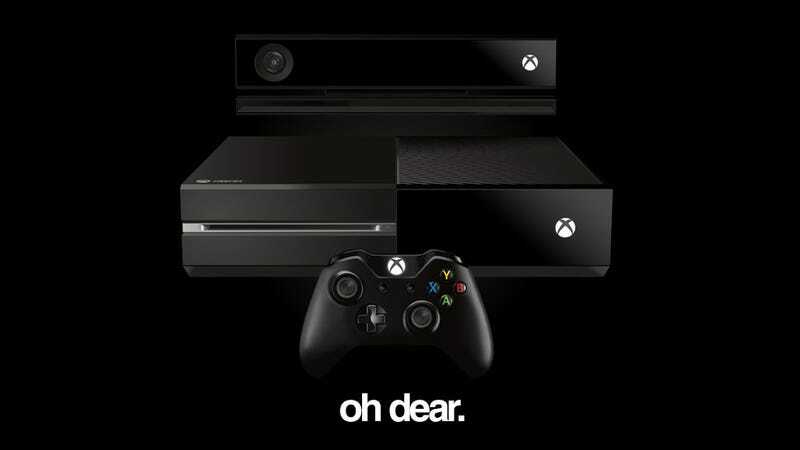 The lead-up to the One's unveiling had been a parade of negative press for Microsoft, as allegations of forced connectivity, mandatory Kinect usage and the blocking of used games had people fearing that their control over the consoles and games they purchased was being taken away from them. That's an important issue. Today was Microsoft's chance to show that this wasn't true. Or, if it was, to at least massage the message and justify the extreme measures. Turns out it was the latter. And the company failed spectacularly. Surely they must have known these were the issues people - real people, spending their hard-earned money - would be most interested to hear about? Yet when the questions started coming in about used games, about forced connectivity, about word that you can't even lend games to a friend, Microsoft reps went to pieces. Twitter accounts contradicted executive statements. Answers that should have been given in full were only given in half. And when clear responses were given, well, the news still sucked. Instead of calming people's fears, then, Microsoft served only to inflame them. Whoops. It didn't help that many of the other key announcements fell flat. TV integration is...OK, I guess, if you're in America, but most people on this planet are not, and as of now, the US is the only place the feature is going to work. Mandatory Kinect usage is also a little disturbing. The camera is listening out for you even when it's "off" (it's never really off), and while Microsoft has issued a statement saying it has "strong privacy protections" in place, people are still rightly concerned that a machine -connected to the internet and featuring a camera which is always listening - might be a problem. The loss of backwards compatibility is also a stinger; we've had our Xbox 360s for a very long time now, and built up a substantial library of games to go with them. Losing the ability to play those games on a new system only lessens the desire to purchase that new system. The result is that instead of collecting the accolades, and maybe even getting an early leg up on Sony's PlayStation 4, Microsoft is already on the back foot. It's come out early, and laid down core "features" of its console that are wildly unpopular with people who you may call vocal forum goers, but who are also the preorder customers, the early adopters and product evangelists. If we hadn't heard that internally some at Microsoft are shocked by the negative reaction, I'd suggest maybe this was the plan all along. Show the hardware early, take the knocks now, then hope things improve at E3 (and beyond) when we start seeing what's really important: the games. If there really are eight new properties coming, that's something to get excited for, right? Those EA Sports games looked pretty damn good, no? Maybe enough so we'd figure, hey, these games are so good it's worth putting up with all this other crap. The way things went today, though, those games had better be damn exciting, because Microsoft has an uphill battle convincing consumers that a console burdened with so many restrictions is worth all the trouble.